Ranked #3 for cost-advantage in EMA Radar Report for Enterprise Hybrid Infrastructure management (EHIM). Network Management Vendor of the Year - 2016. DCIM Solutions Vendor of the Year - 2016. Readers’ choice 2nd Runner Up – 2013. 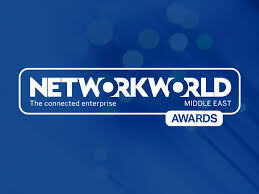 Network Management Solution – Finalist. Network Management Solution – Winner. This (IT workflow automation) is a rare component for a solution within this price bracket, as some high-end solutions do not do this well at all... This is a differentiator within this space as many applications do not provide the automation capabilities that a template can provide to ease troubleshooting and minimize business impact. ManageEngine has generated the ability for small organizations have this functionality, where pricing once made it unattainable. Read more. OpManager was good before - now it's great! It is an extremely versatile, feature-rich system, made better by new features like Mapping, Hyper-V support, and the improved UI. Alerting is comprehensive and full of information sure to help administrators fix problems faster. How could an HTML product compete with a native iPhone app? The truth is, it competes well–and in many cases, it’s actually better. If you’re in the market for a network monitoring solution, give OpManager a close look; the product for mobile phones is outstanding. Read more. OpManager really hits the mark for reliable network monitoring. It has a great range of features, and is versatile enough to monitor a wide range of devices. It does a great job alerting administrators to network problems. Read more. In addition to the server and services management, OpManager also provides a comprehensive network performance management solution by observing WAN link availability and performance monitoring, bandwidth analysis, network configuration management, and VoIP Quality of Service (QoS) monitoring. Read more. OpManager 8 from ManageEngine stands out from the crowd of SNMP based network monitoring products, because it provides an extensive set of enterprise level tools, at a price that makes it affordable for smaller businesses... It can be deployed in minutes and this latest version delivers real time graphs, more WMI monitors and also includes templates for over 650 device types, making it even easier to use. Read more. OpManager: the Swiss army knife of monitoring. It expansively and comprehensively monitors virtually every possible network nook and cranny, including WAN links, servers, switches, routers, printers, Windows Event log entries, Web site URLs, TCP⁄IP services, specific applications, Windows Services, APC UPS devices, network and application performance and Active Directory. Read more. In short, then: an excellent range of real–time dashboards and on–demand reports, very good abilities to monitor a wide range of devices, applications and services, and not a bad price either. Read more. OpManager Network Management Software: A Web–based operations management tool with complete real–time monitoring and reporting for all types of SNMP–enabled devices on your network. Unlike competing products, ManageEngine's OpManager is not just a network monitoring tool. The tool acts as a watchdog, continuously monitoring the network for trouble spots, and will instantly send alerts to notify administrators when and if a fault occurs. Read more. Given the amount of ready–to–run functionality available from OpManager right out of the box and its comparatively low price, anybody for whom a giant budget for network management is out of the question might want to give this package a look. Its price–value combination is hard to beat! Read more. Ease of use. In a small shop such mine its a breath of fresh air to get a product up and running as fast as I can. Functionality and support - OpManager right out of the box has so much functionality its amazing. I love the perfect integration with WMI and the ease of monitoring my servers and services. Plus your support team has always been ultra responsive and helpful. Overall, both applications operate in completely different pricing ranges, but OPManager is far more powerful than IPCheck could ever be, and with Paessler support being odd at times, money is better spent on OPManager. OpManager is a software comparable to the HP OpenView Network Node Manager or Tivoli NetView module. It is obviously cost effective alternative to Tivoli and OpenView, but is very powerful.... OpManager also runs under Linux and is very powerful. The system consists of a probe Java for polling / trap and a MySQL database for data storage.